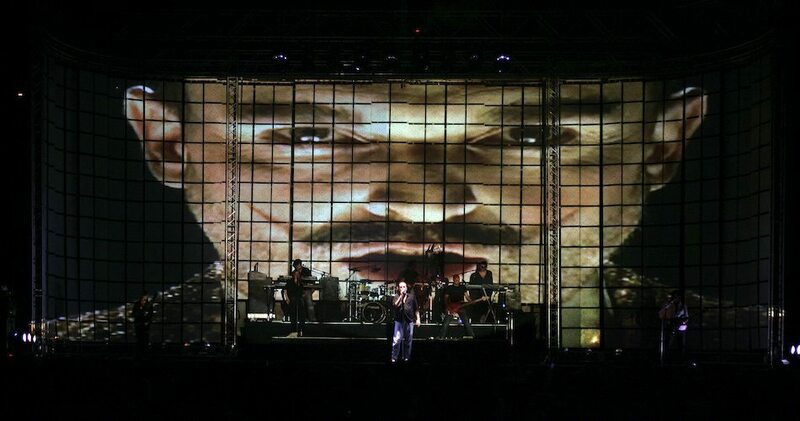 Project: Miguel Bose “VELVETINA” Concert Tour. The tour “Velvetina” visited more than 10 countries and played more than 40 concerts all over Latin America and another 40 concerts in Spain. A special concert was performed in front of more than 100,000 people in Zocalo Square, Mexico D.F. Miguel’s words at the beginning of the design process was that he wanted a design that was totally different to anything that had been seen before and could create different looks for each of his songs. 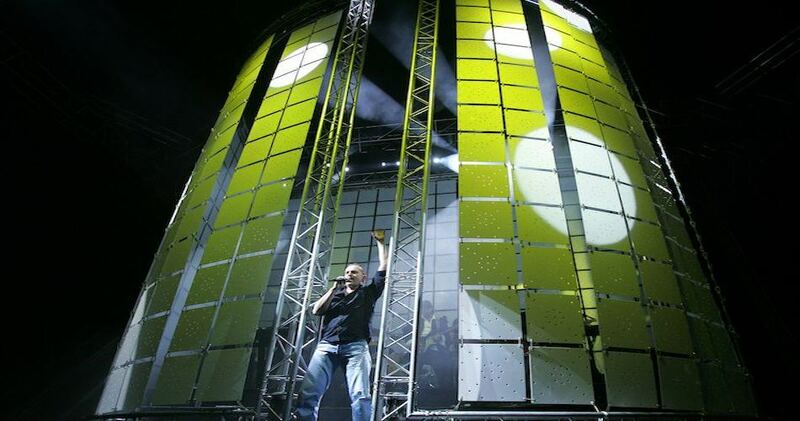 The set design was constructed out of suspended acrylic panels connected by carabiners and supported by a stock truss system. The set had to be set up in the morning with a show in the evening and strike immediately after. 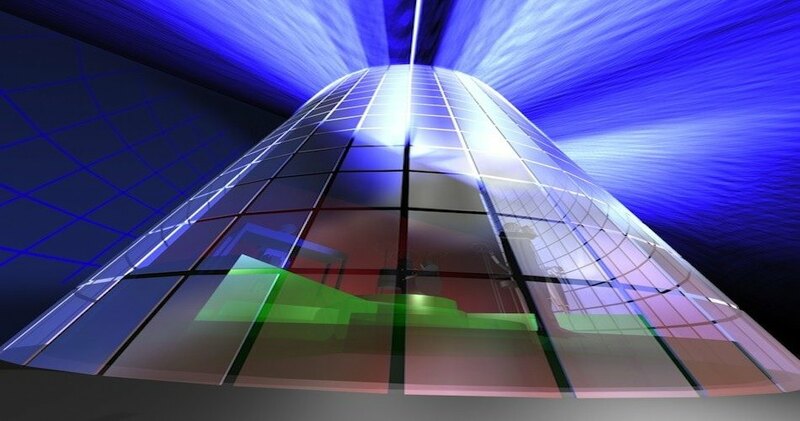 The height of the set could be varied depending on the venue size by unclipping some of the 50cm sq panels. 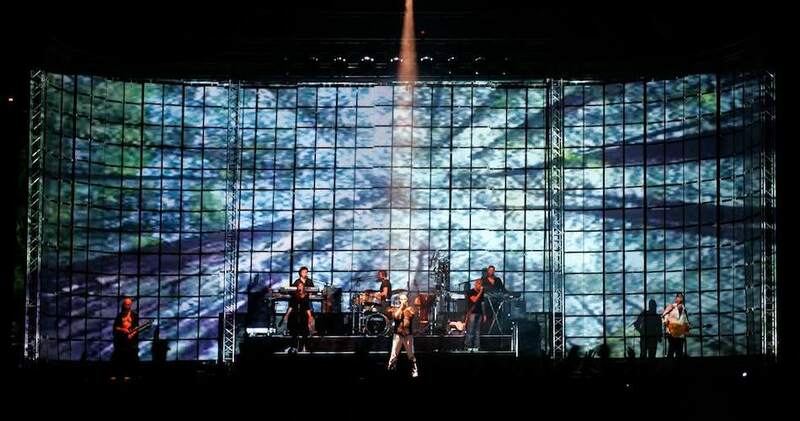 The show started with Miguel and the band hidden within the acrylic cylinder with lighting and smoke pouring out of the perforated holes of the panels.This added a dramatic start to the concert. The cylinder opened and the band was revealed allowing for the specially designed projections. 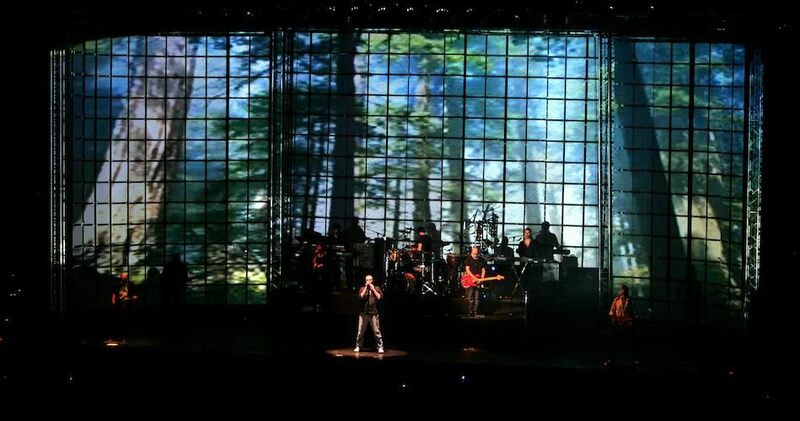 These projections along with the lighting created great depth and atmosphere to the different songs. Each set of panels were connected to a tab track which by opening and closing the acrylic panels created more set configurations. 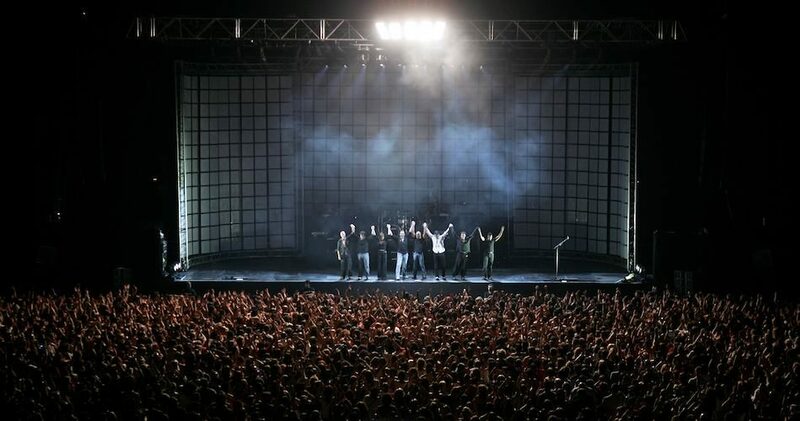 Overall each song had a completely different set look by using a combination of set movements,projections and lighting. To get the maximum effect out of the set I worked very closely with Miguel and the Lighting Designer allowing us to take the audience on a memorable journey.